Once your custom / web font(s) have been added to your publication, they need to be enabled within the publication and applied to an active style. 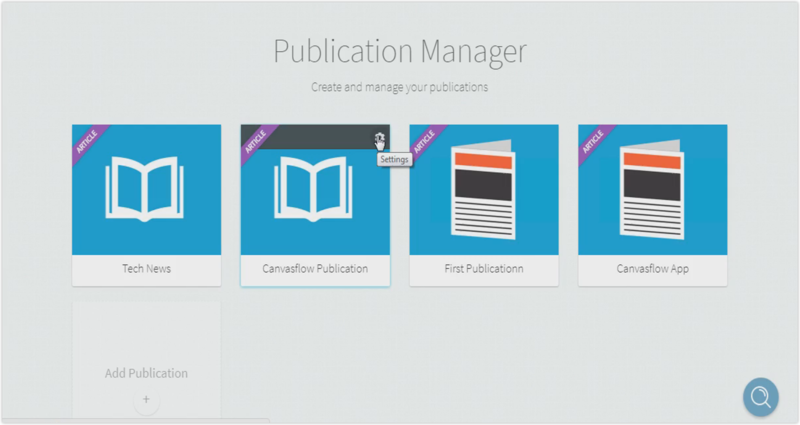 From the Publication Manager, select the publication you want to work on. Hover the publication and click the 'Settings' button. From the menu select the ' Fonts' tab. Select the fonts you wish to use, keeping in mind that the number of fonts activated can impact performance. Click Save to enable the selected fonts. 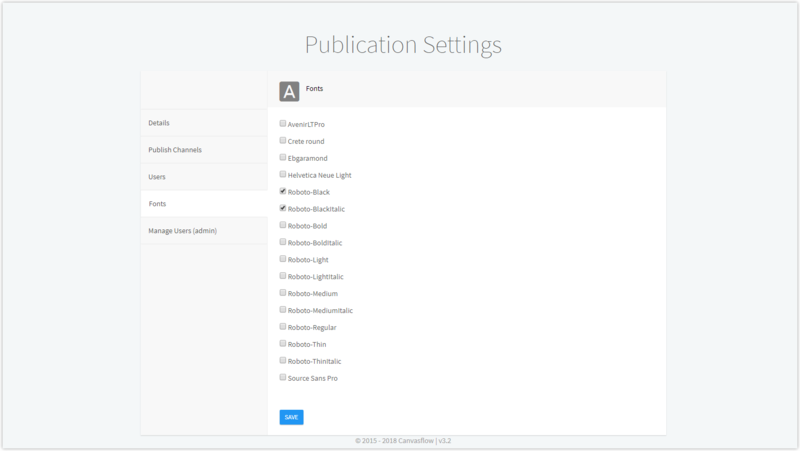 Navigate to the 'styles menu' from the Article Manager toolbar (or the 'style menu' from within the Article Builder). Select 'Edit' on your chosen style. 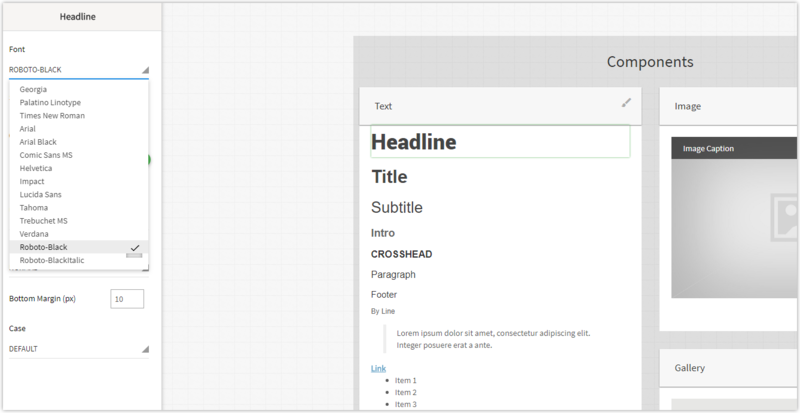 Select a text component, this will display the component properties. From the properties, select the 'Font' menu and select the custom font. All custom fonts will be located at the bottom of the fonts menu. Custom fonts are managed on a per publication basis and there are no limit to the number of fonts your publication can have installed. To ensure your publication remains optimised, we strongly suggest that you enable only the custom fonts that are actively being used in a publication. If a custom font is selected, all articles using the style will include the font. To ensure optimum performance, please enable (tick) only fonts that you wish to actively use within your publication.